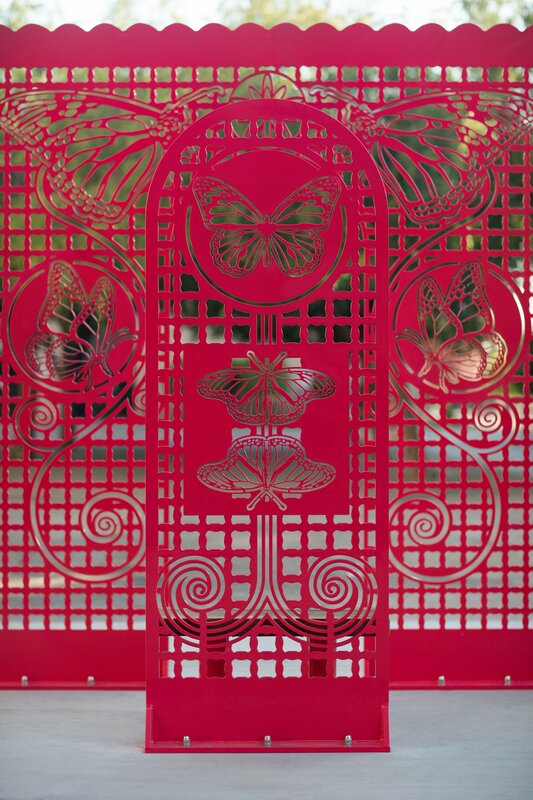 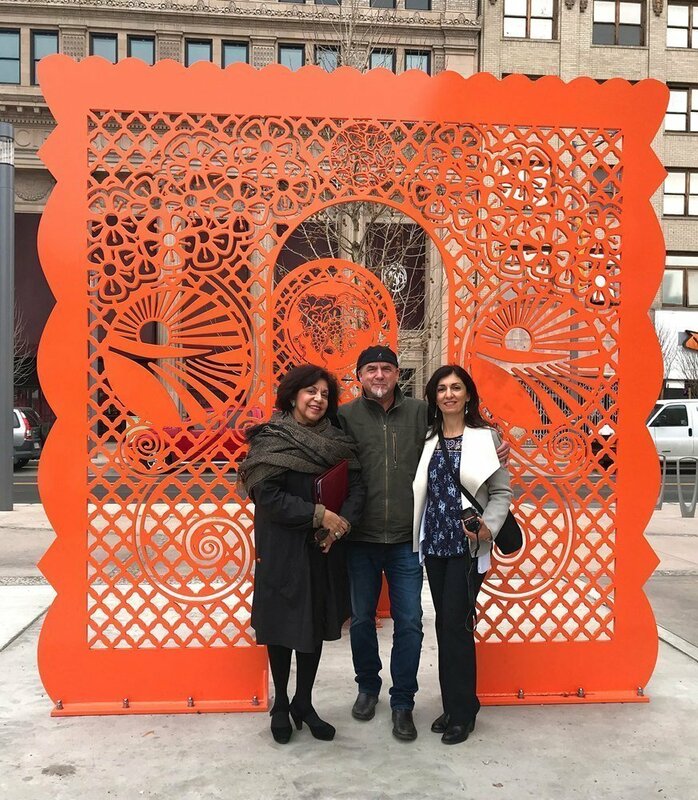 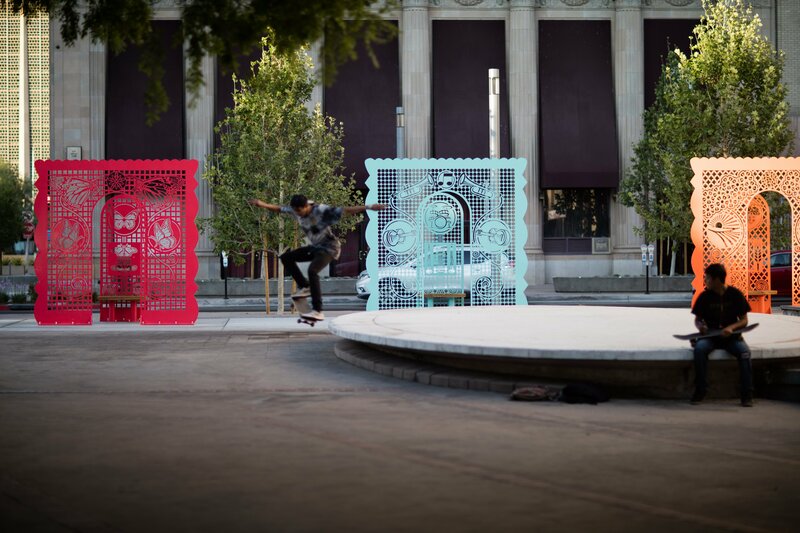 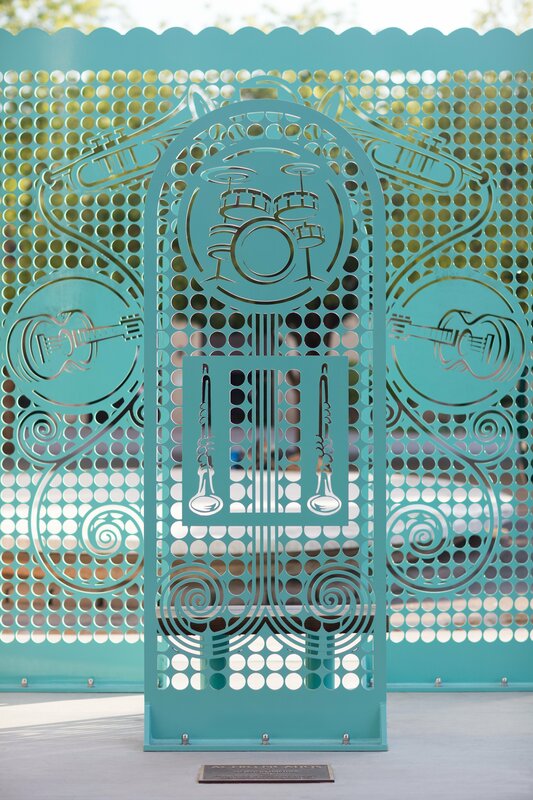 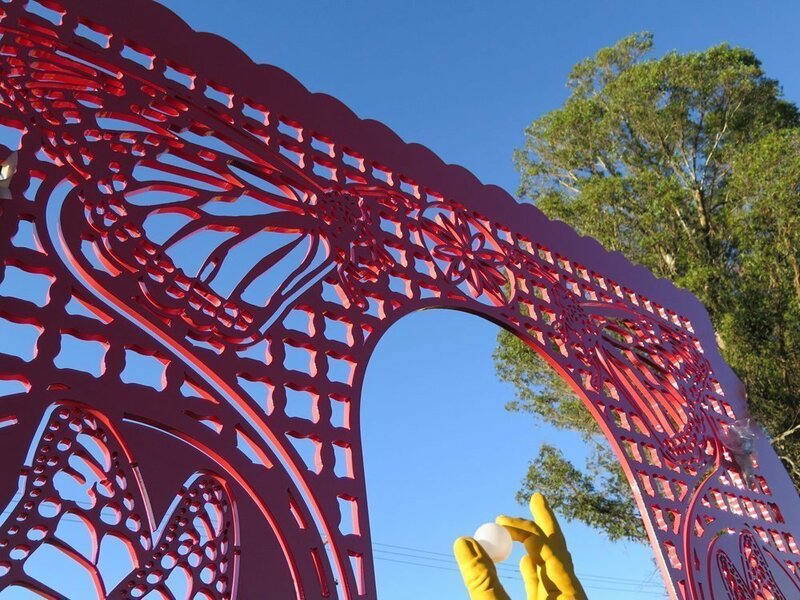 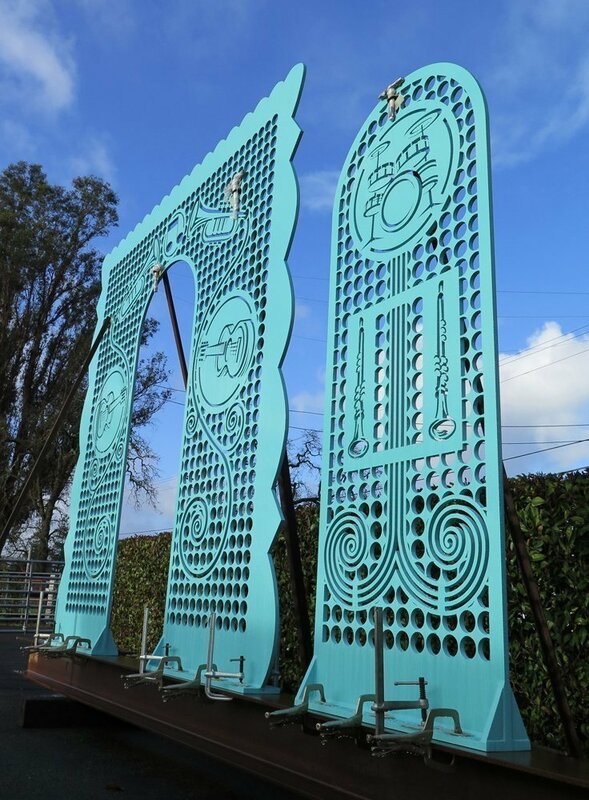 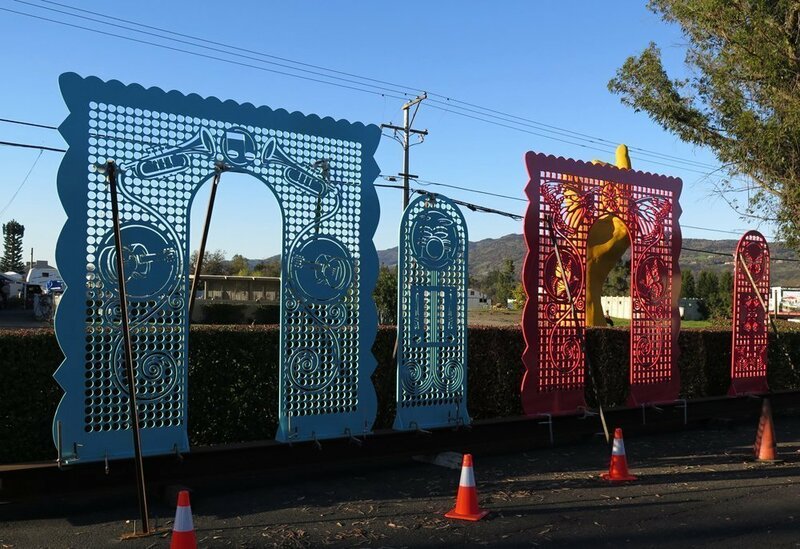 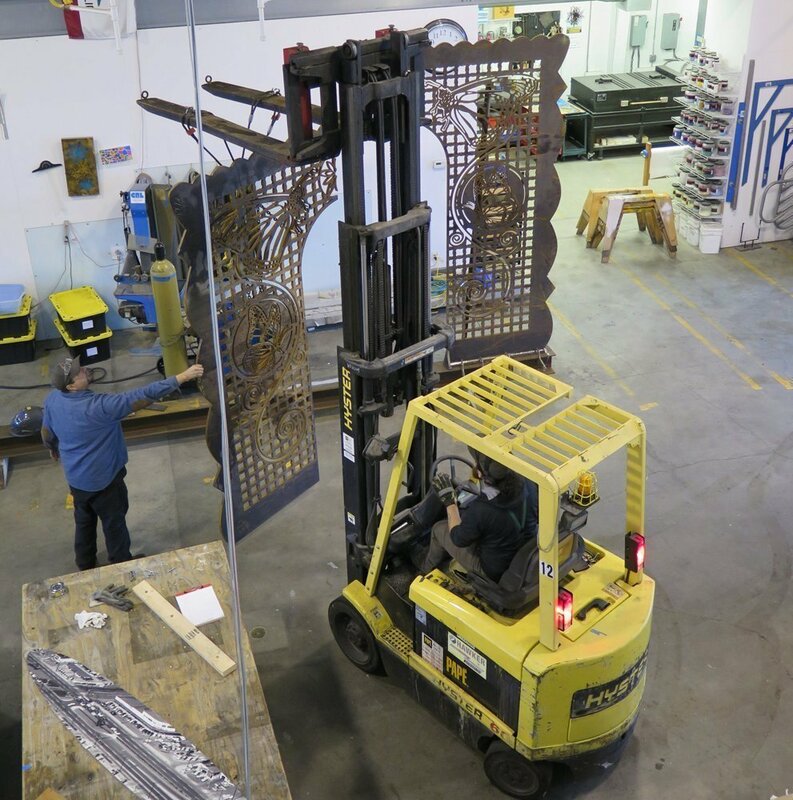 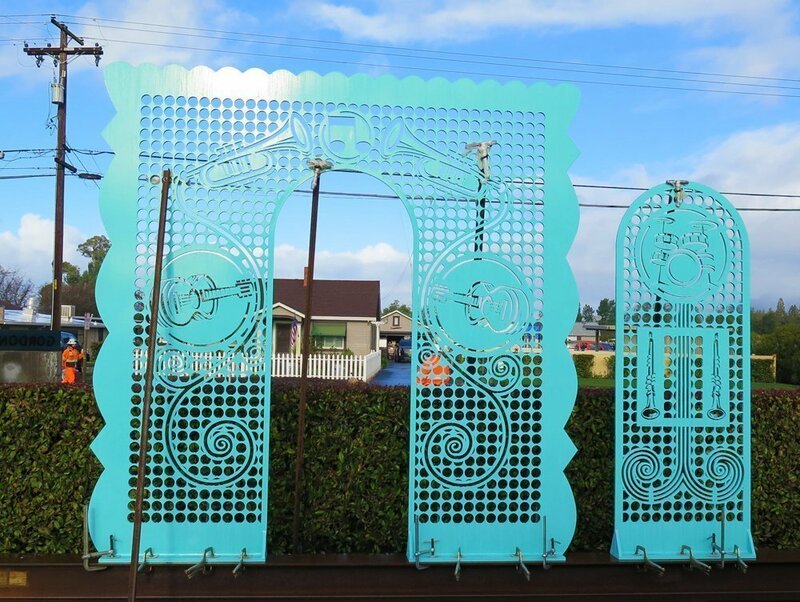 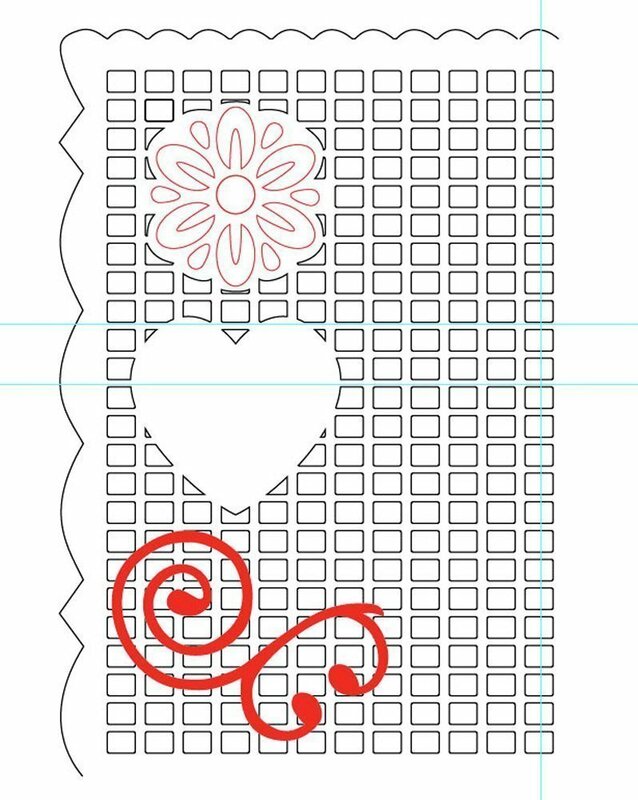 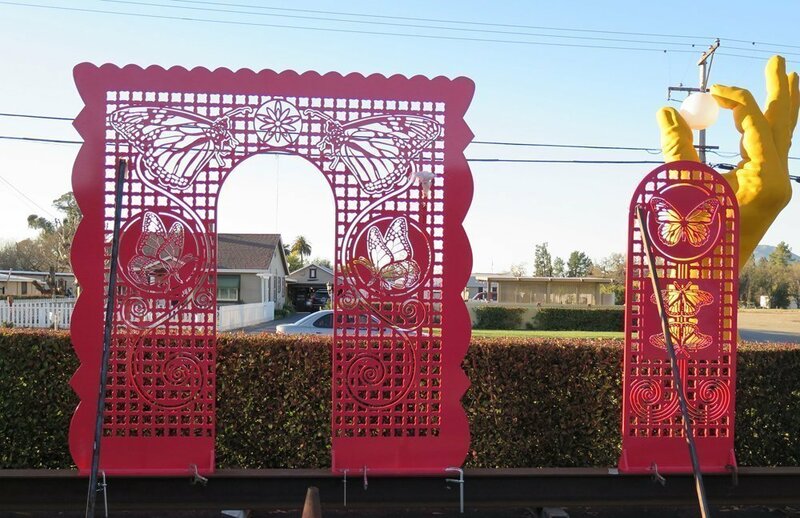 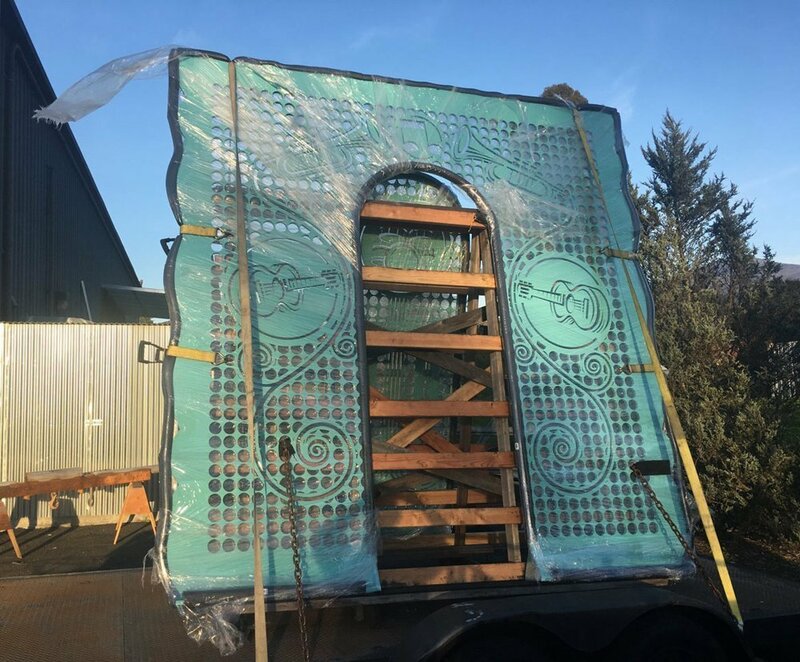 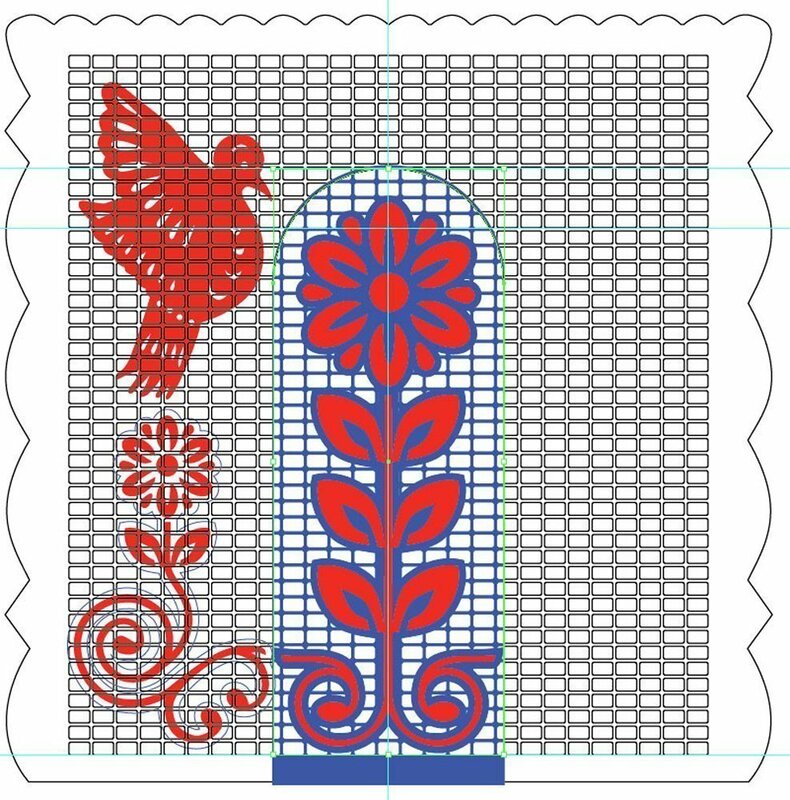 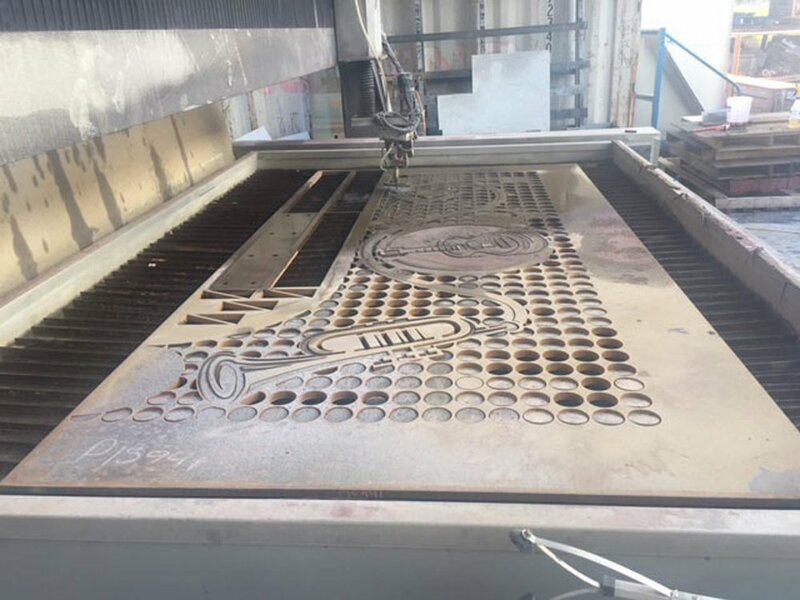 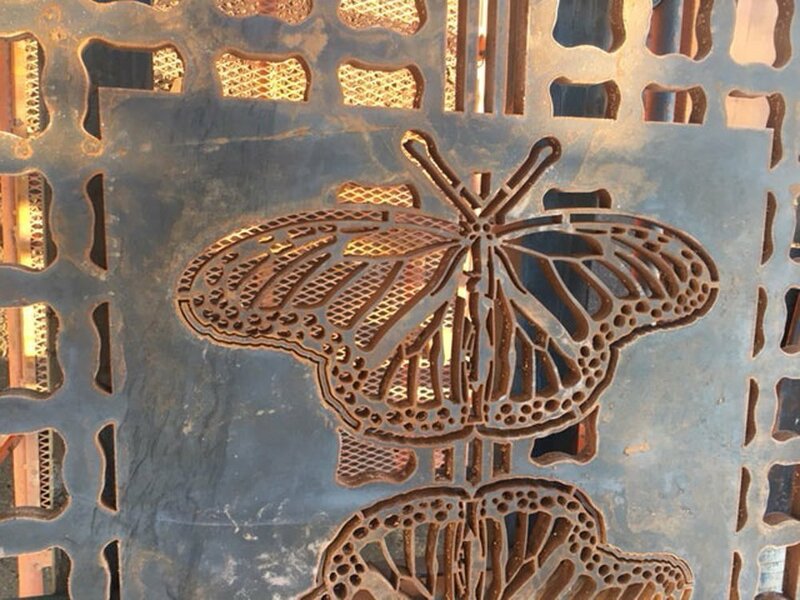 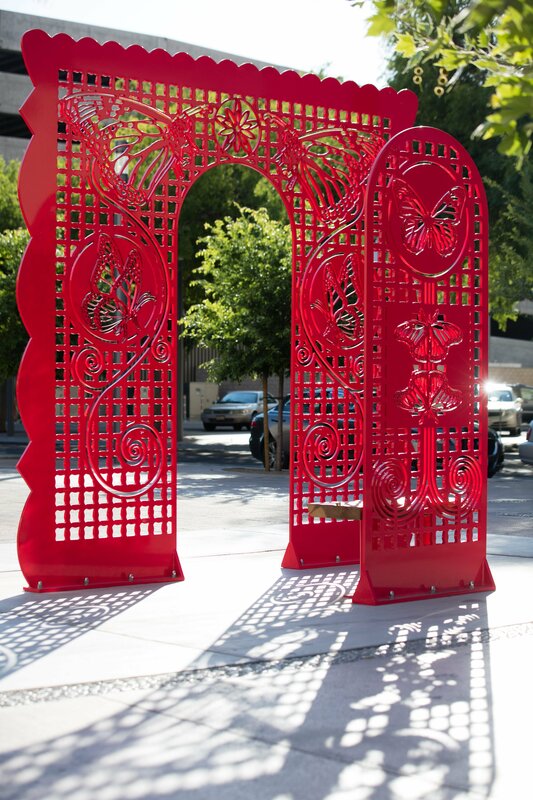 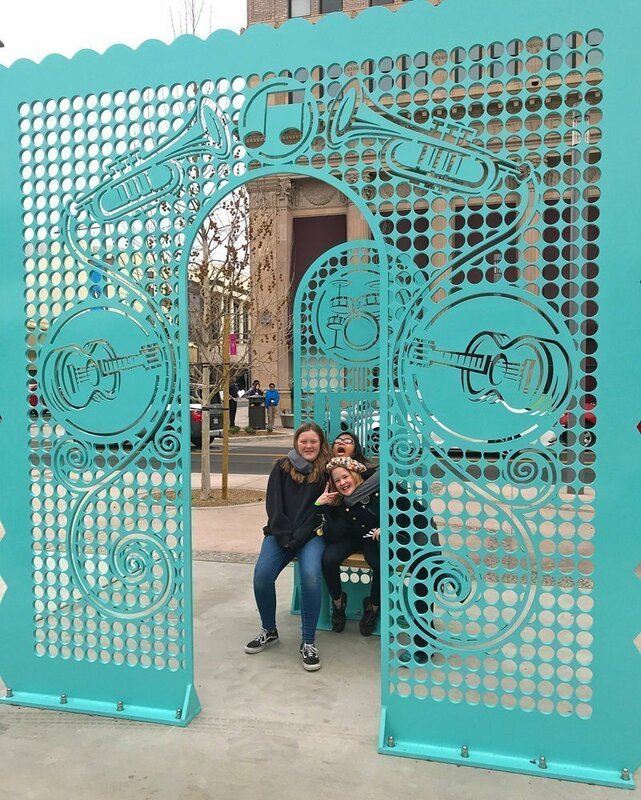 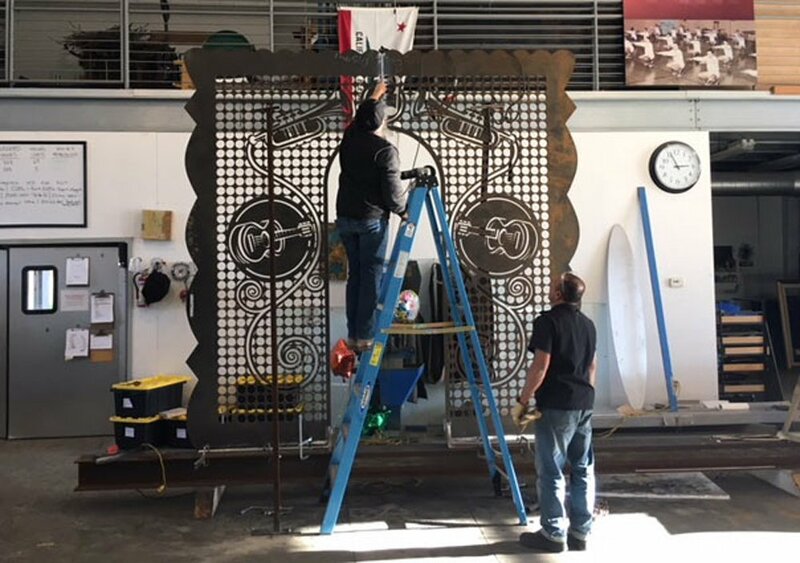 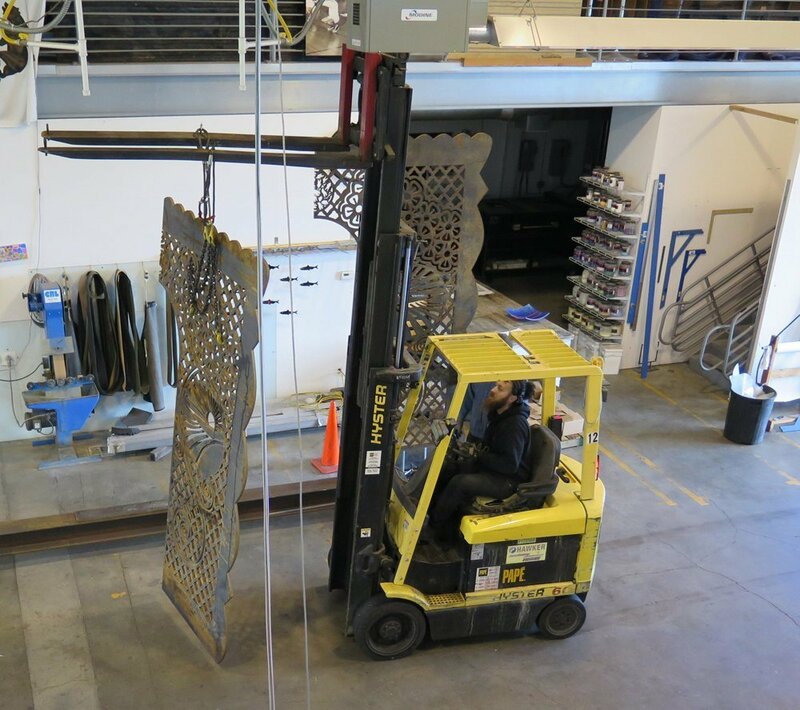 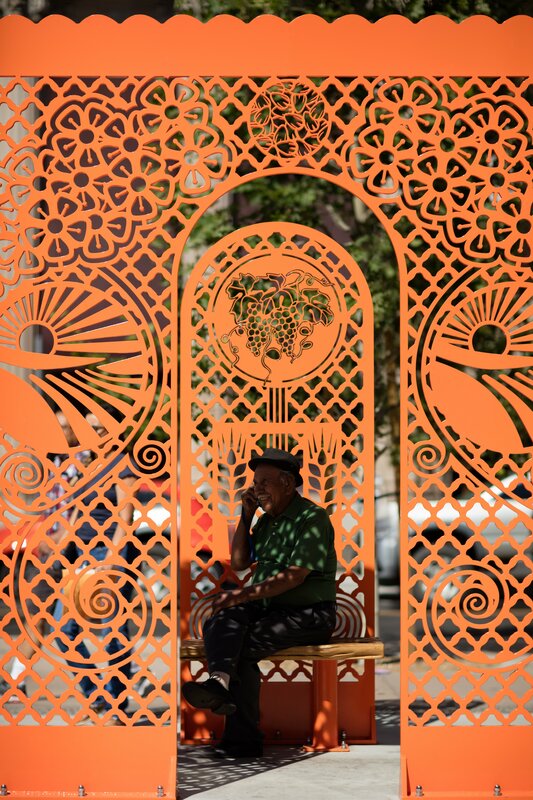 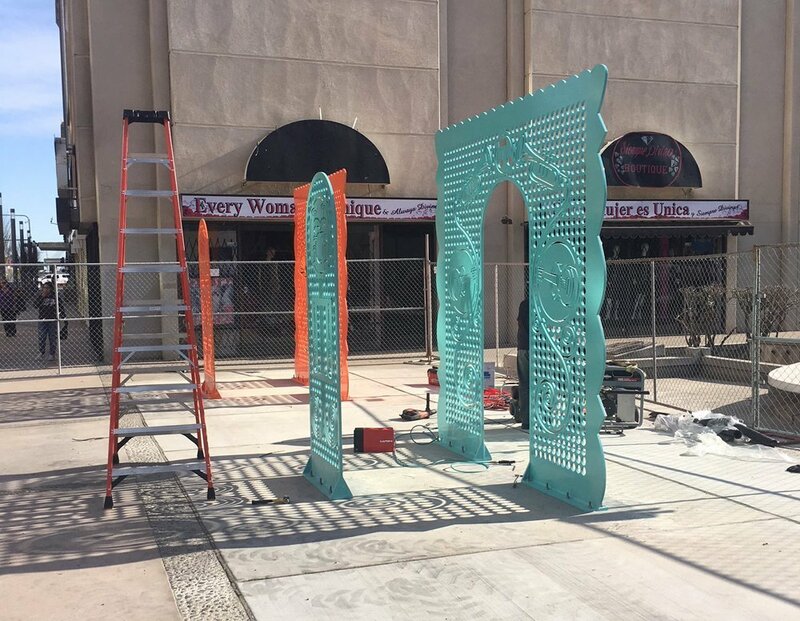 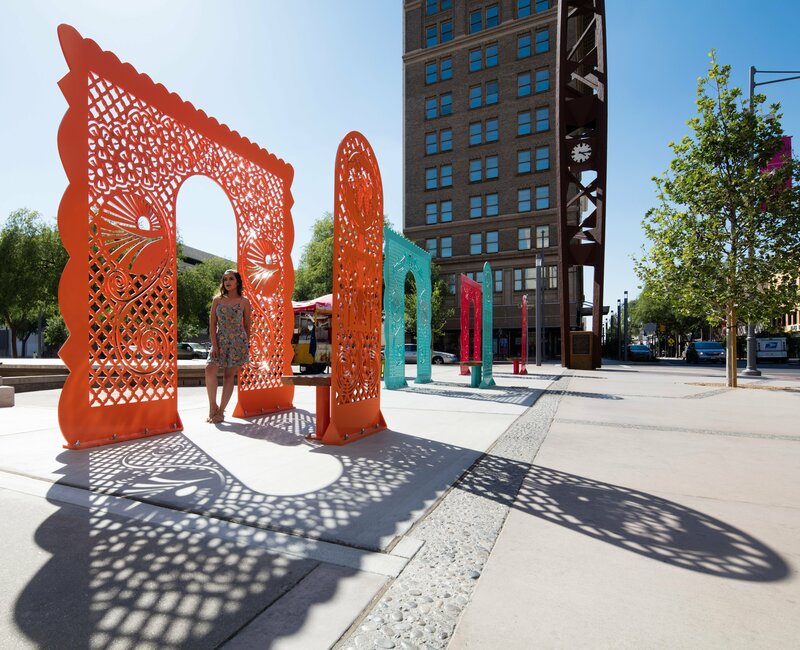 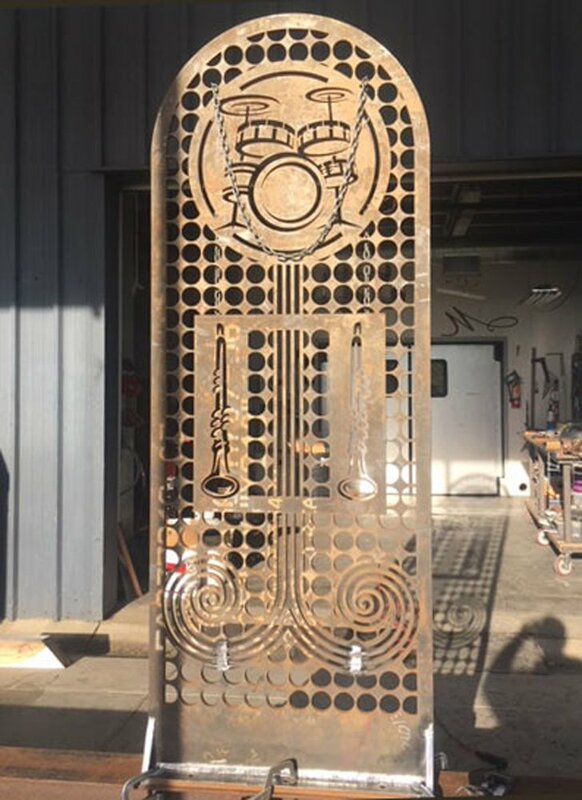 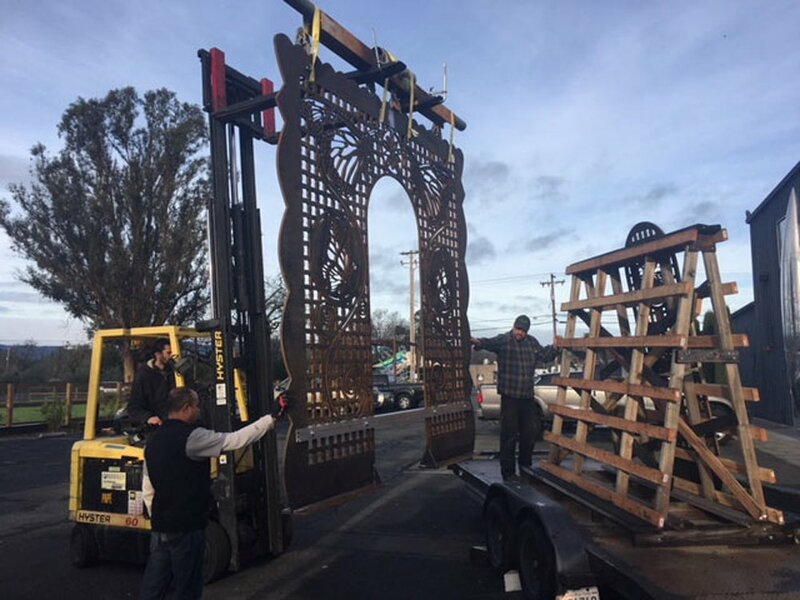 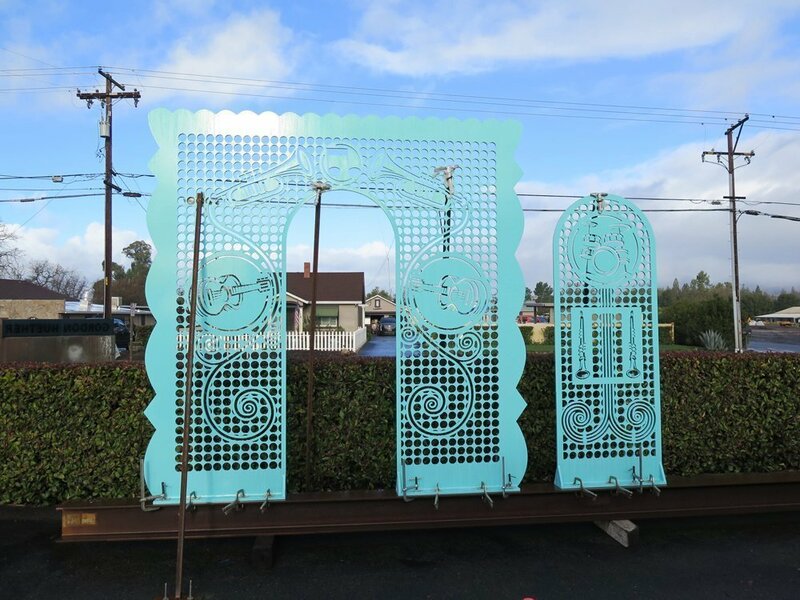 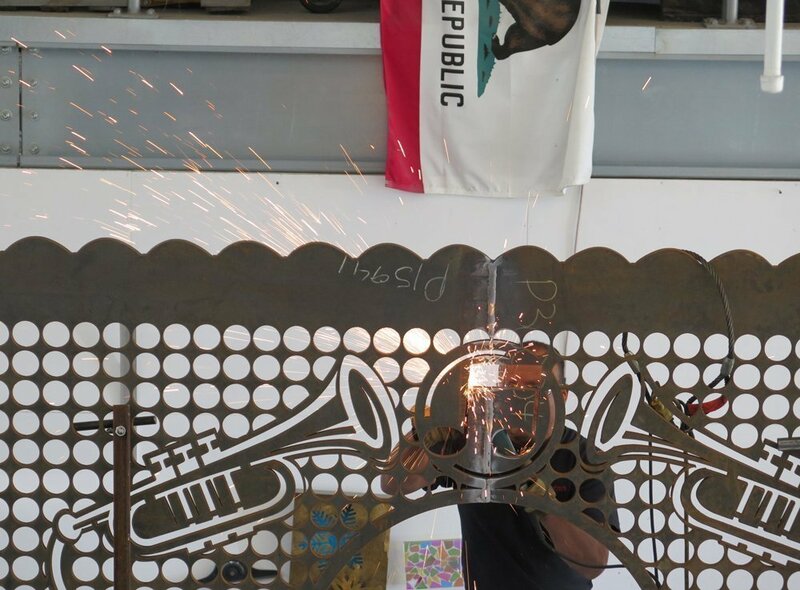 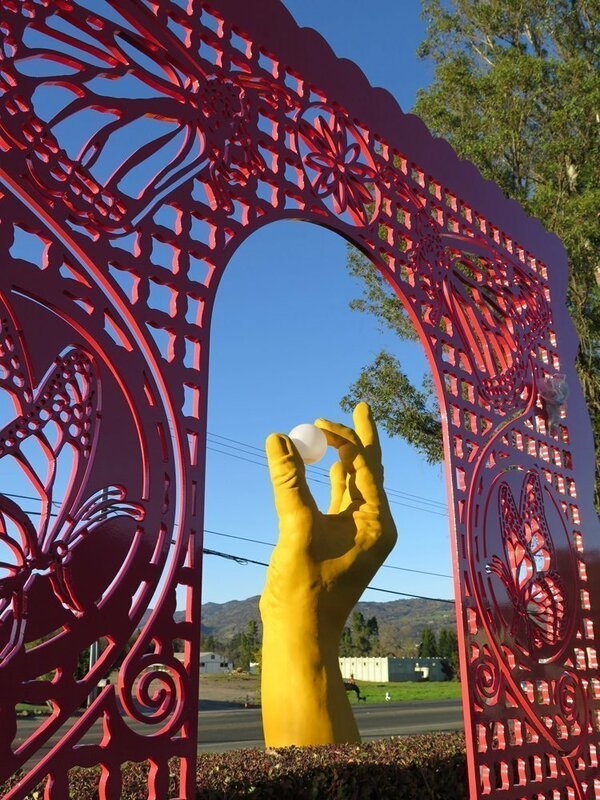 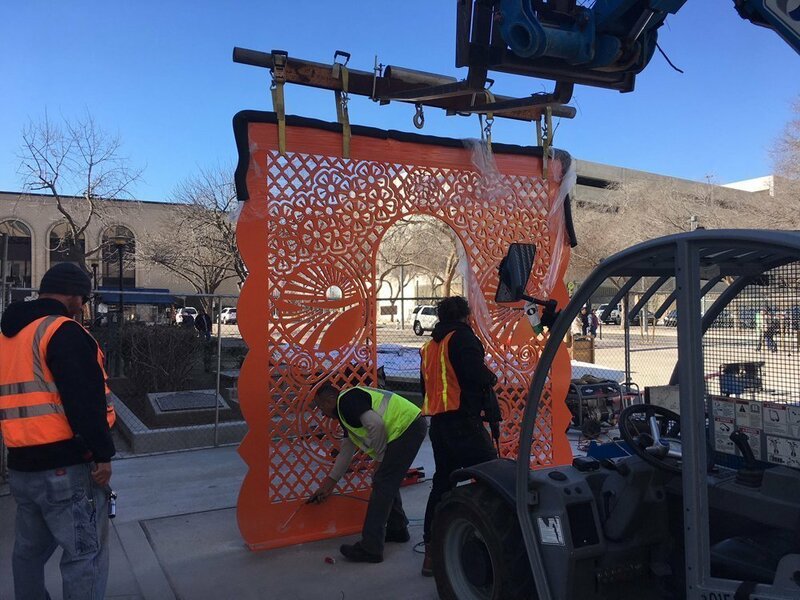 As part of the City’s redevelopment plan for Mariposa Plaza, Gordon was commissioned to create Acero Picado, a trio of paired arched gateways and panels inspired by the intricate paper cuts of traditional Mexican papel picado folk art. 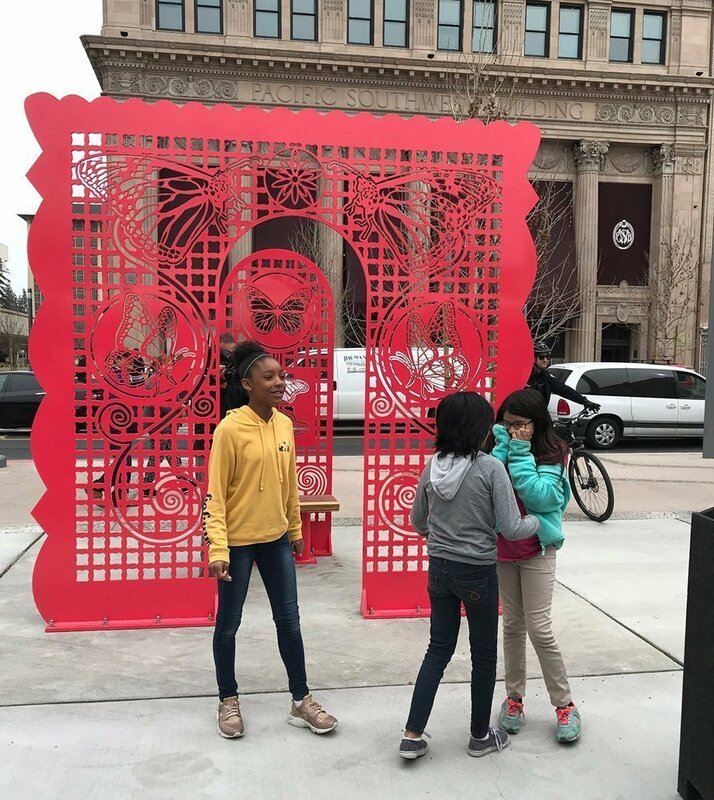 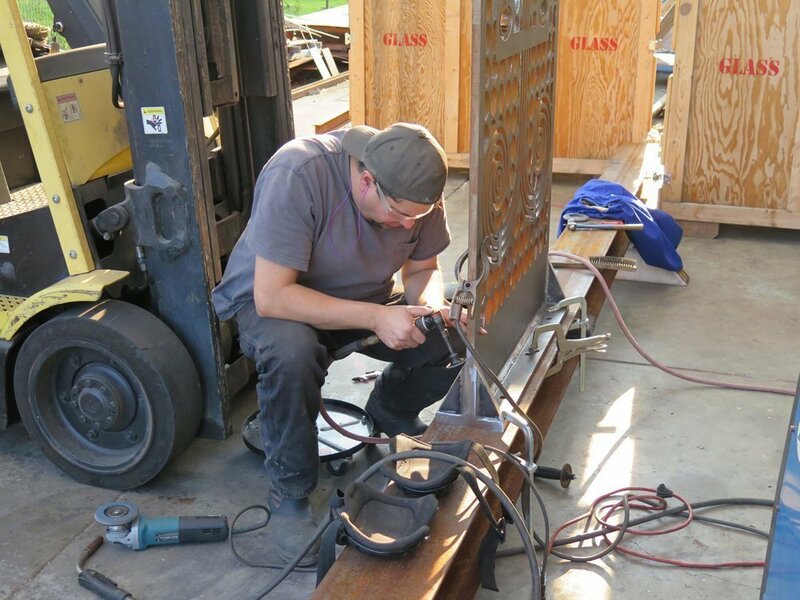 The larger gateway section of each pair measures 10′ H x 10′ W, with the smaller panel measuring 8′ H x 3′ W. Benches are integrated throughout the installation to provide seating for the community. 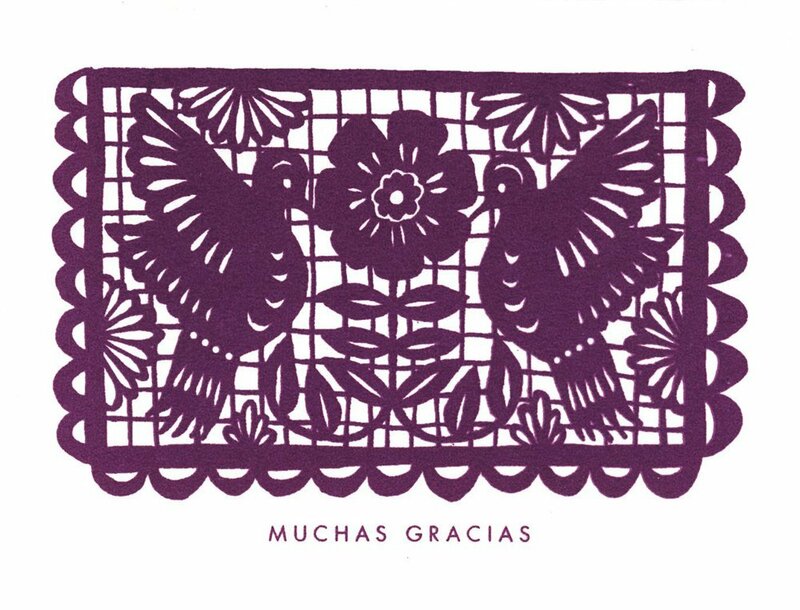 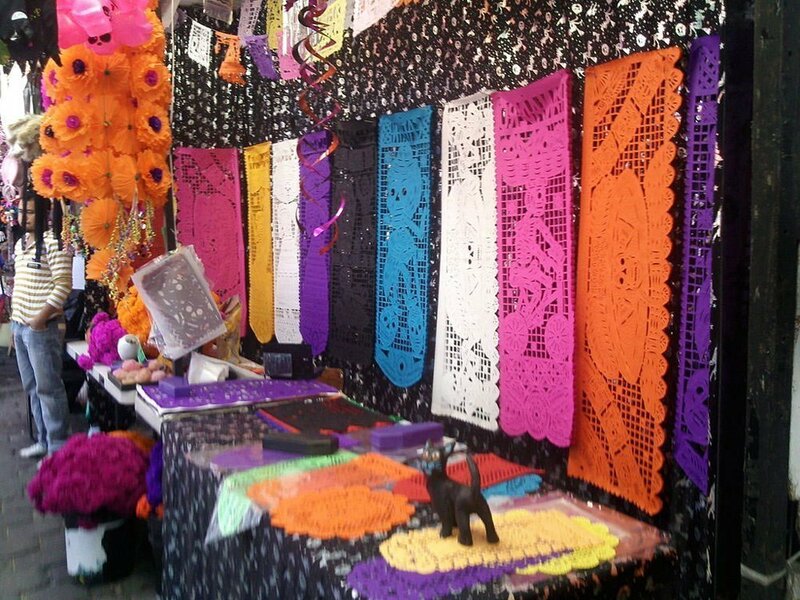 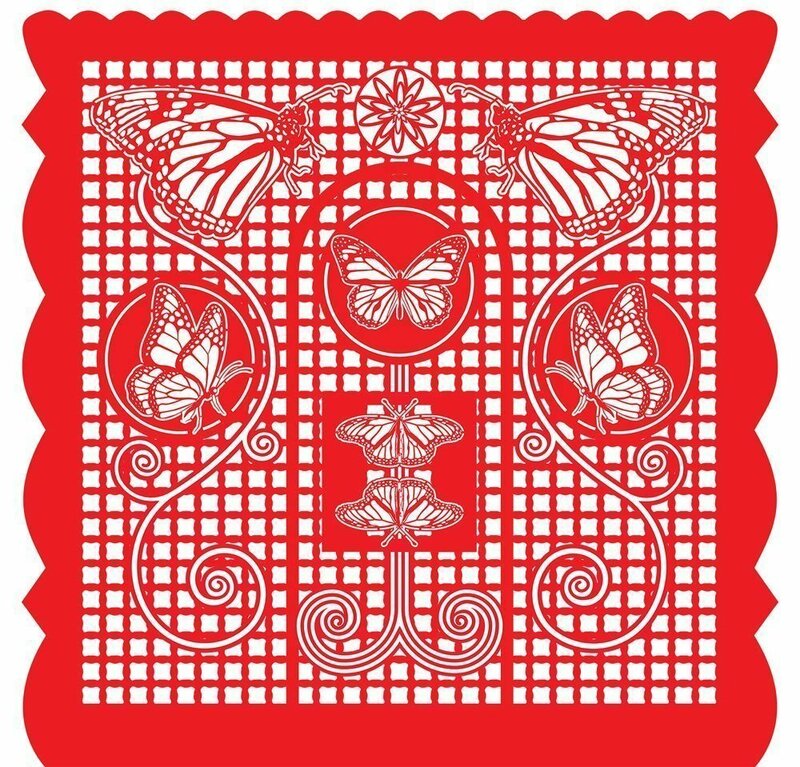 Each pair in the Acero Picado series represents one of three themes: music, farming and butterflies. 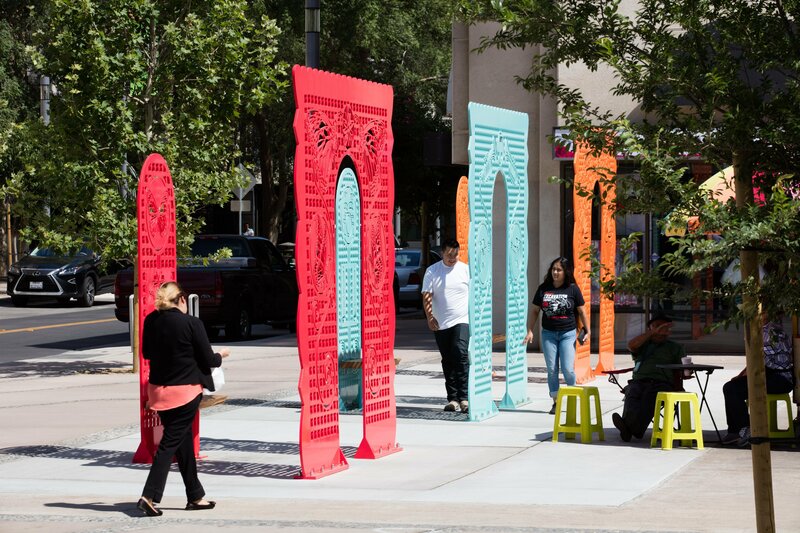 The themes respond to the cultural and historical experiences of Fresno and the diverse community that lives there. 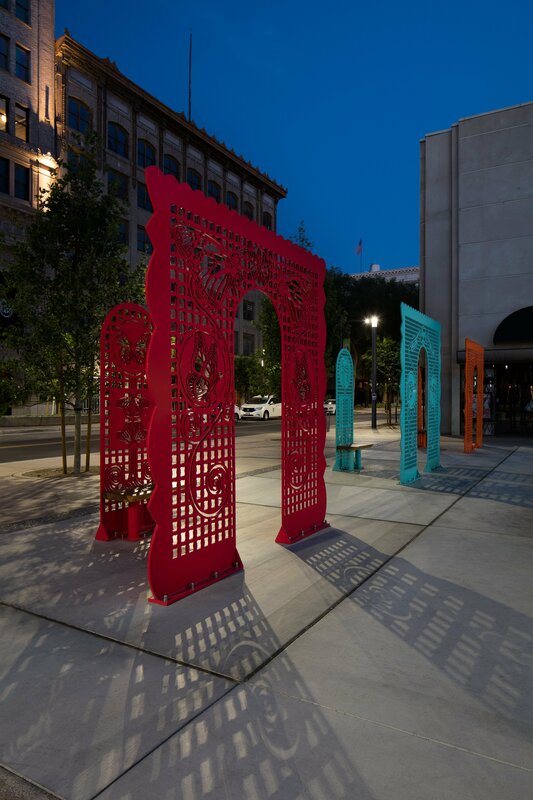 Fabricated with water jet cut steel, and powder coated in vibrant primary colors (red, teal and orange), the installation meets project goals of integrating vibrant, playful and interactive artwork in a plaza that hosts special events and is enjoyed daily by all members of the community. 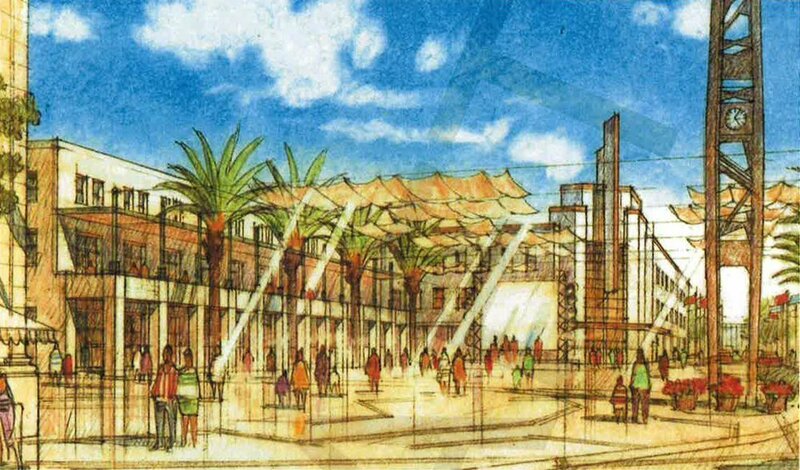 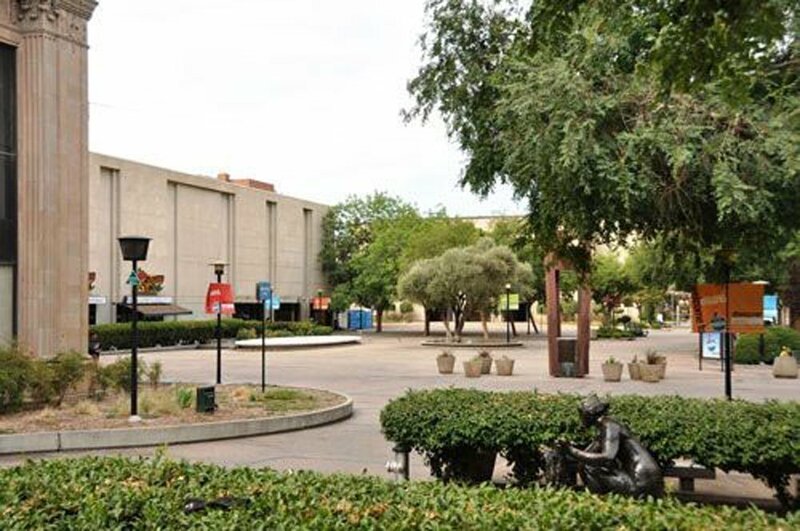 An NEA “Our Town” grant, awarded to Fresno in 2013, contributed support for the Mariposa Plaza Activation Project. 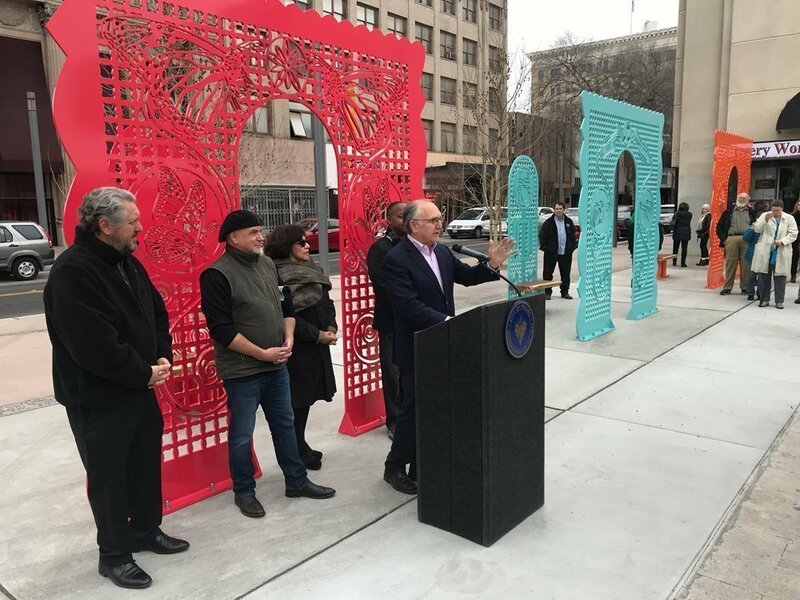 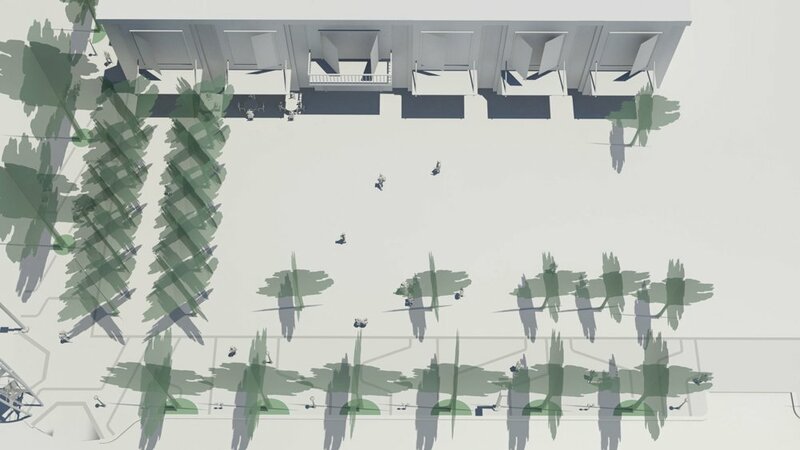 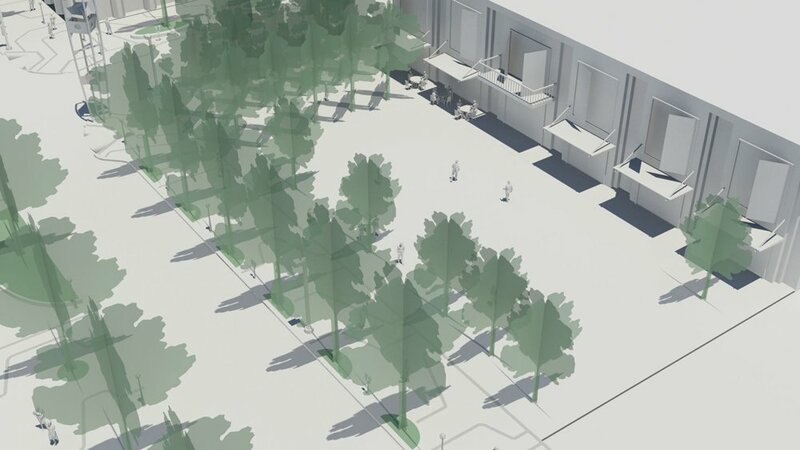 The project is expected to better integrate the plaza into the robust collection of public art works along Fulton Mall as well as new high-speed rail and bus rapid transit stations being built less than two blocks away. 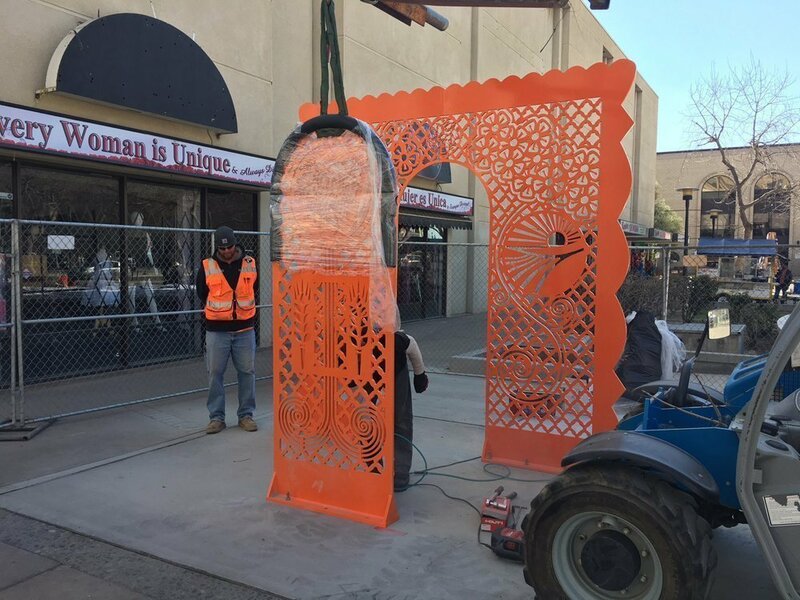 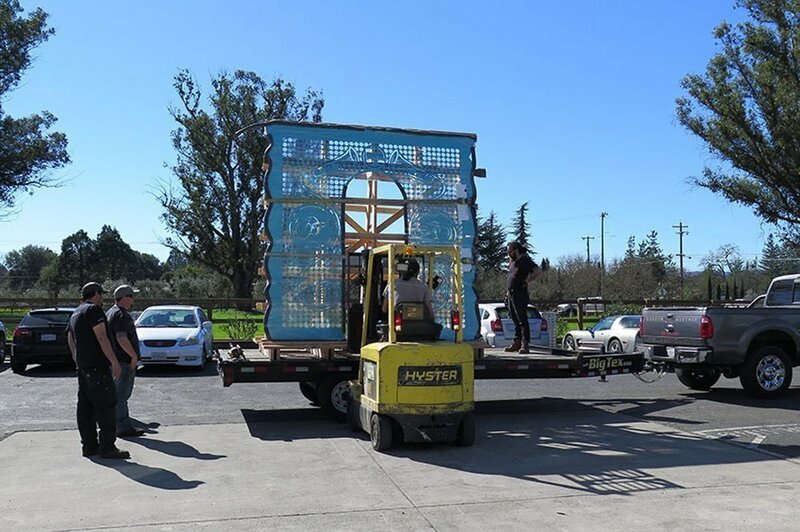 On February 26, 2018 the City of Fresno celebrated the unveiling of Acero Picado. 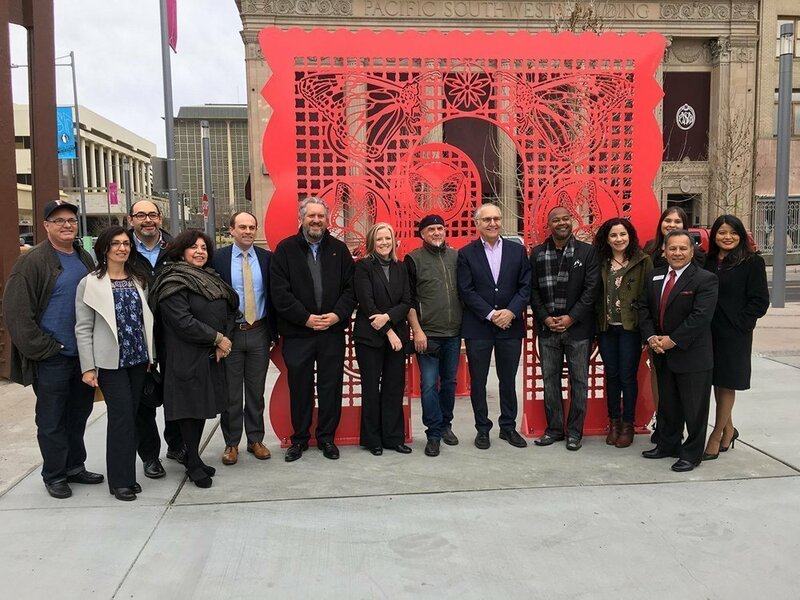 Fresno luminaries from the city’s public and private sectors gathered at Mariposa Plaza to celebrate this major milestone in the redevelopment and revitalization of downtown Fresno. 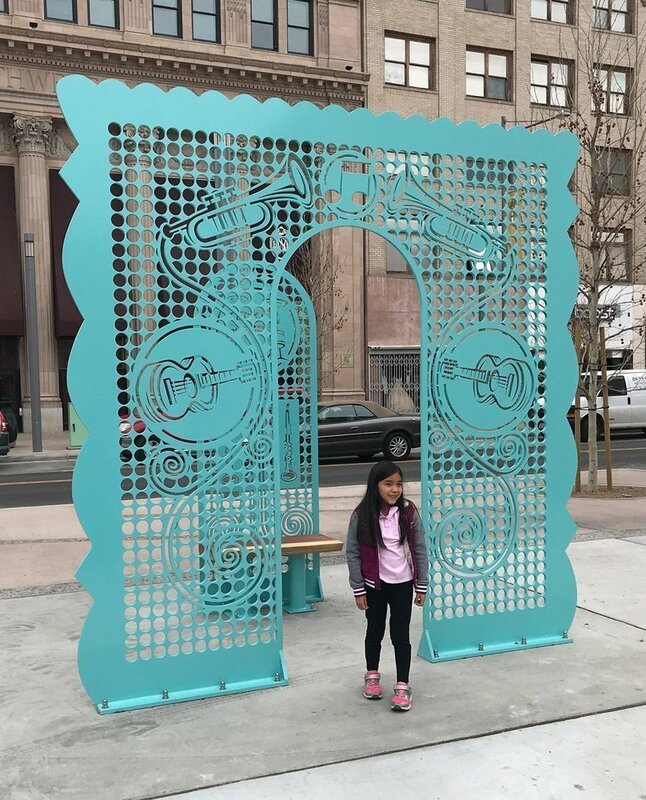 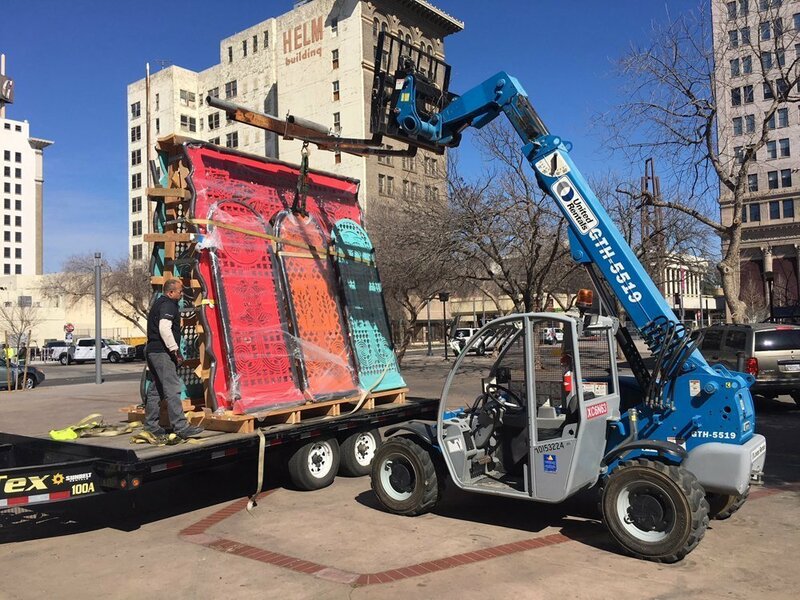 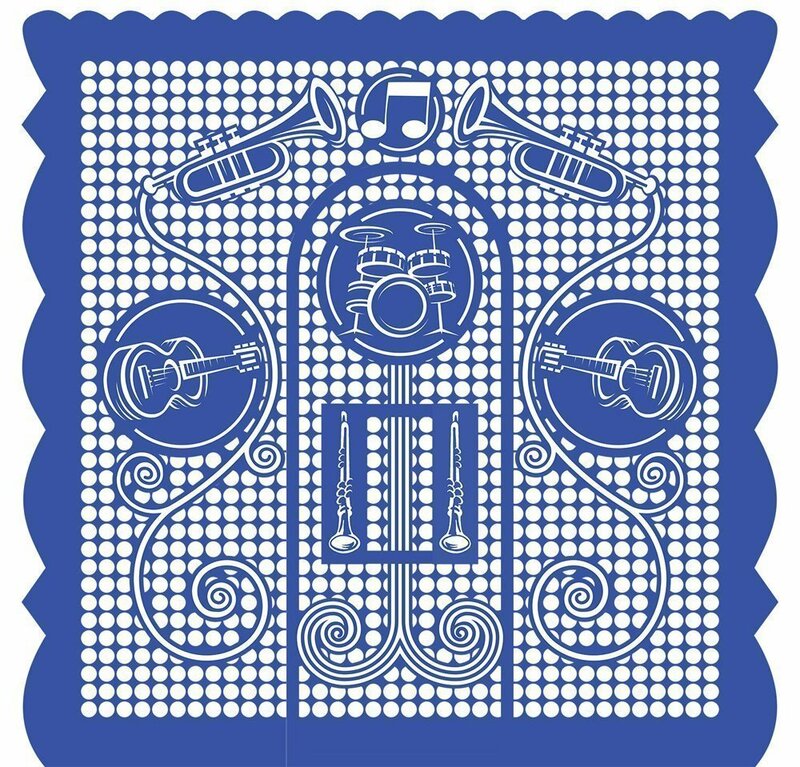 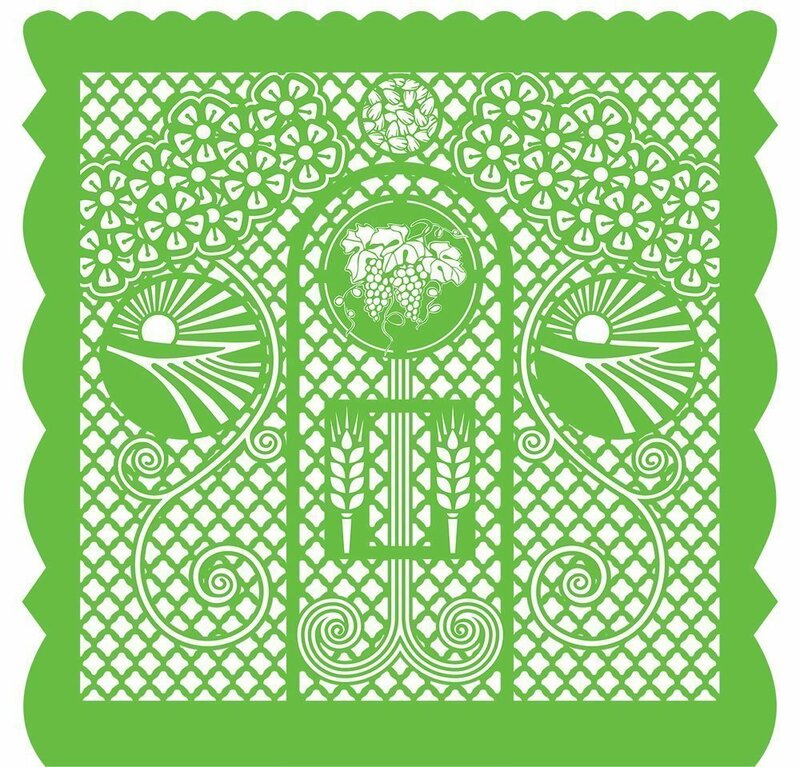 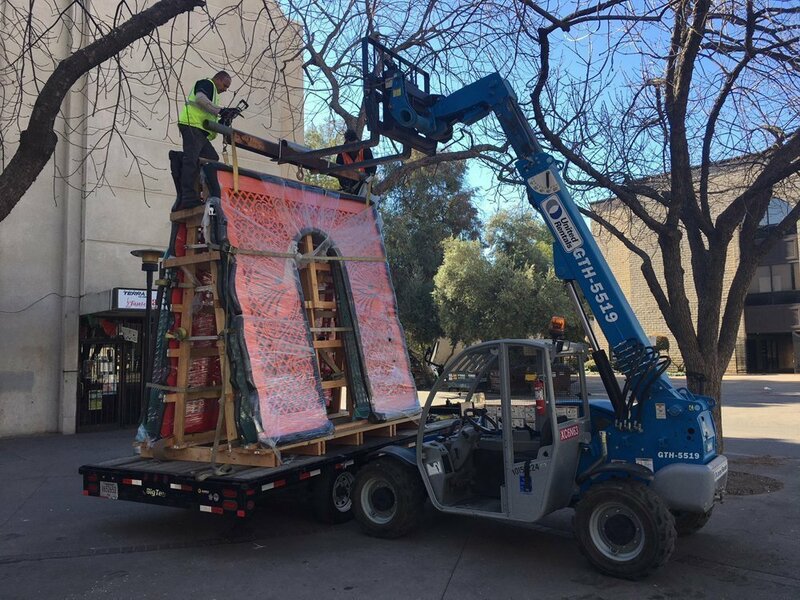 Acero Picado is the first public artwork to be installed at the Plaza, located at the center of Fulton Mall, since 1964.